This was a quote from a viewer of the powerful Stacey Dooley investigations series on BBC1 last week, ‘Fashion’s Dirty Secret’. She revealed that our appetite for cotton (which requires staggering amounts of water to produce) has reduced Kazakhstan’s huge Aral Sea to a dustbowl (with knock-on effects on livelihoods, public health and climate). Brands outsourcing manufacturing to factories with cavalier environmental policies, and a startling turnover of fabric that sees 10 billion new garments produced and 300,000 tons of clothing dumped in landfill every year. At a conference dedicated to sustainable fashion, all the big high street brands in question refused interviews, despite dogged tenacity until Stacey got a comment about regulation from a Levi’s rep who was keen to publicise the sustainability of their products. This was blunt, straightforward, no-frills documentary-making; I must confess I squirmed as I watched the utterly horrifying impact our consumerisation of clothes, which instead of quarterly now operate weekly fashion cycles such is our thirst to wear the latest designs. Fed by influential vloggers with millions of followers, today’s generation can access the latest complete look from the comfort of home. 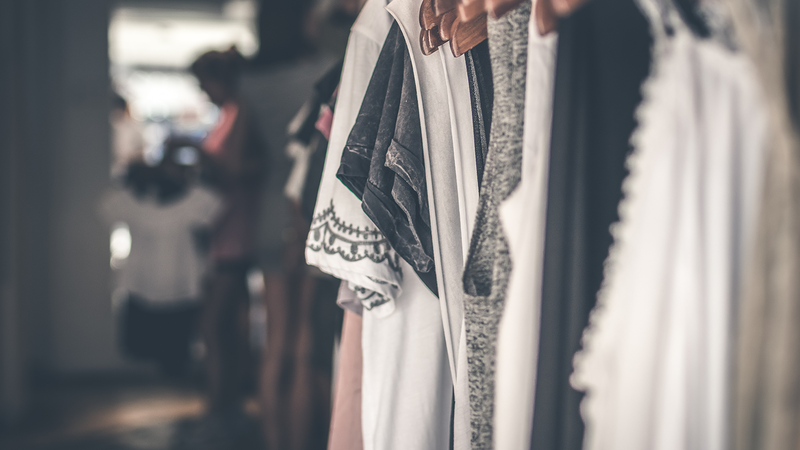 According to the post programme Twitter feed, shoppers have vowed to ditch fast fashion after watching Stacey Dooley's 'mind-blowing' documentary. Much will depend on the views of the influencers and the actions of the leading brands to react to the criticism. Like some of us I possess far more than I need, but I can honestly say that I didn’t know the full extent of the water shortage caused by cotton growth and the subsequent misery caused to local populations. Jeff Bezos, the head of Amazon has come under repeated fire about his employees’ (and casual workers') working conditions, with fierce criticism in particular from US senator Bernie Sanders. The company employs about 566,000 people around the world, not including independent contractors and third-party workers that help it operate, like drivers with Amazon Flex, who are not technically employees but are paid to deliver Amazon packages with their own cars. The company is often celebrated as a major source of employment opportunities, especially in its hometown of Seattle, where 40,000 people work for Amazon. When measuring customer experience Amazon is revered as a brand that most organisations would like to emulate. As consumers we (and I include myself here) love the convenience of our seamless service - could it really get any better? Often, it’s in stark contrast to other services that we access day to day which can be clumsy and filled with seemingly needless barriers. We don’t need to think too deeply about the fairness in terms of employees, probably because we would like to believe that such success must have come in part from a successful employee engagement strategy. Perhaps the recent widely publicised wage rise reflects a need to restore equilibrium to the attention given to both customers and employees. Influencing consumer and organisational behaviour is a complex business involving shifting beliefs and attitudes, not an easy thing to do. If we know that the consequence of restricting or changing something because of new information, risks a negative return or inconvenience, we can simply choose to disbelieve or delay, particularly if the choice is optional and/or we are in a majority view. A shift only happens when there is a compelling rationale, personal outrage or events, for me it was the documentary. Many would argue that we are witnessing the beginning of a shift in the delivery of customer experience, which has evolved from a basic call centre model 30 years ago to a digital, always-on, complex myriad of solutions. Our mobile phones aren’t really phones anymore and our choice in the way we can connect has never been greater. With this choice often comes disappointment as we see a dilution of communication, and a fragmented general offering rather than a specific, authentic source of help. There are some brilliant examples of organisations who get the ‘shift’ and have an open culture which is customer led and fearless of progression; many of these are in our CCA network. There are some others who desperately want to succeed in this area but are hamstrung by a lack of credible and actionable data from which to affect change. The opportunity for the latter to learn from the former is huge and forms a large part of what the CCA network is all about. CCA's Annual Convention 2018 - Customer Experience Reimagined aims to provide all of this and more on 14-15 November at Glasgow Hilton. Find out more and get your tickets now here.